Since I truly believe that Tarot more than just a deck of cards, I utilize them in many different ways. I am, we are, all connected to the Universe and how we choose to make this connection deeper and more fulfilling is certainly a personal journey! Do not ever let any one person determine the right or wrong way in your path, it is after all your path. Truly if you find peace and comfort one or all of about five thousand deities, then more power to you again it’s all about you. 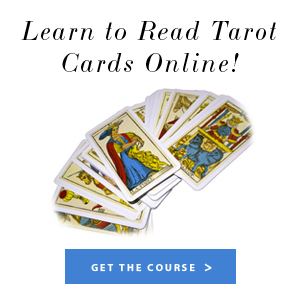 I’m here to offer you different tools (alternatives, if you will) with a connection to Tarot. There is another way for you to utilize Tarot for your journey and business through ritual. By hand picking and displaying certain cards prior to spell work or ritual. I wish to share with you some cards in particular that are incredibly suited to providing you with what you need. So, if you made this far reading you are already good to go and are most likely familiar with Rituals, if not hang on because this is some amazing and powerful divination. The Empress, this card will remind you and the Universe to Nurture your business and to help it grow. Four of Wands, this card is brought out for the intention of your business to be profitable and also creates true joy. Four of Pentacles, set this card out to promote guidance in financial and business planning when starting a new project or changing direction in business. Ace of Pentacles, this card can be brought out to bring new prospects/clients to you. These are just a sample of some of the cards you may put out to help you with your business. Such an easy effort to just put the cards out, light a candle and present to the Universe your needs! There is more, yes, I love this! If you are working on your Intuition as an entrepreneur, the next few cards will help to assist you, if only you ask. It is just that simple! Ace of Cups, to open up a joyful intuitive event. The Star, to create the Intuitive connection with the Universe. The Moon, to gain intuitiveness and ability to see events that may be hidden. The High Priestess, the card of all cards in regards to obtaining intuition. There is no card in the deck more productive in the deck for Psychic Ability and Intuition. Set this card out to help you overcome hidden events. Please try this simple form of divination for you and your business, add these cards to your rituals, you may be surprised. We are all connected to the Universe, and we can sometimes ask for more direct detailed actions to be gifted to us!